ok....this post has had me seriously squealing with delight for a few days now. as soon as toni from make it perfect sent it to me i just started daydreaming about all the possibilities! 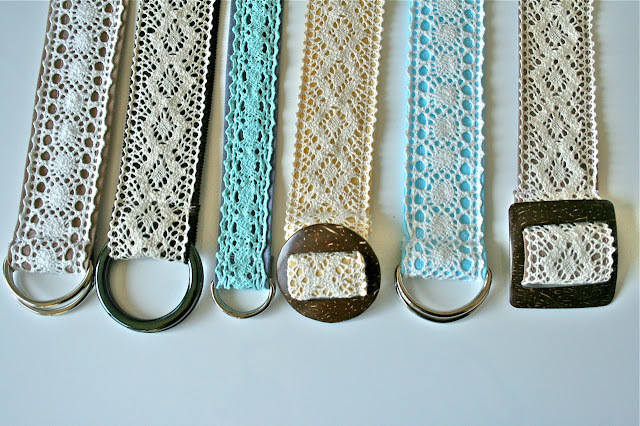 i mean really....i just love the idea of anything with lace, doilies and fun fabric and then put it together onto an accessory and i am one happy lady!!!! 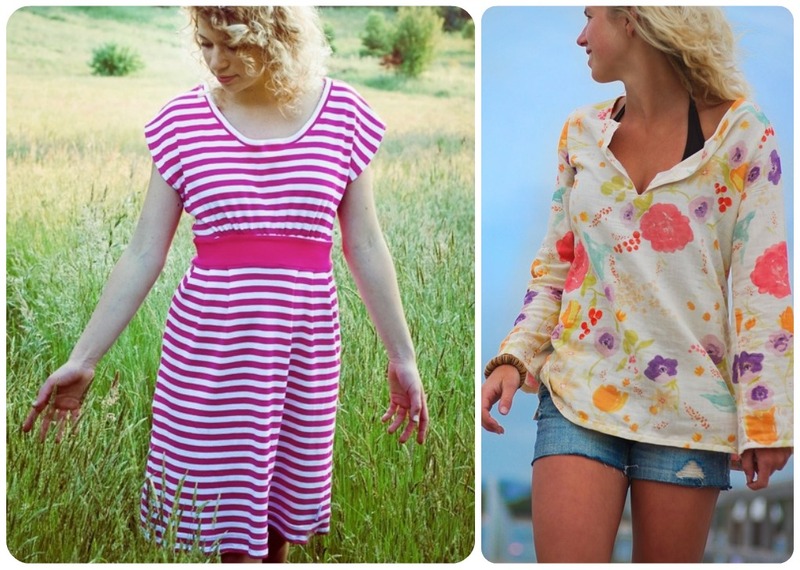 when toni said she would join in for this round of comfy sews VS cozy knits i was super excited! what a treat! 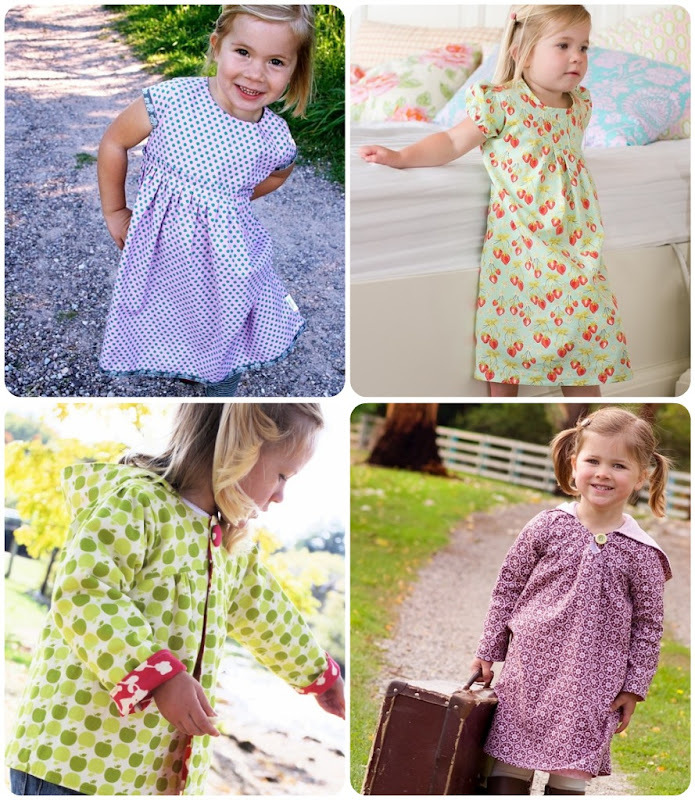 her book "make it perfect: 21 easy patterns for sewing women's and children's clothes" is filled with lovely goodies! let's all hope the publishers decide to get it released over in the states and here in canada because i want a copy! want a chance to win some make it perfect sewing patterns? 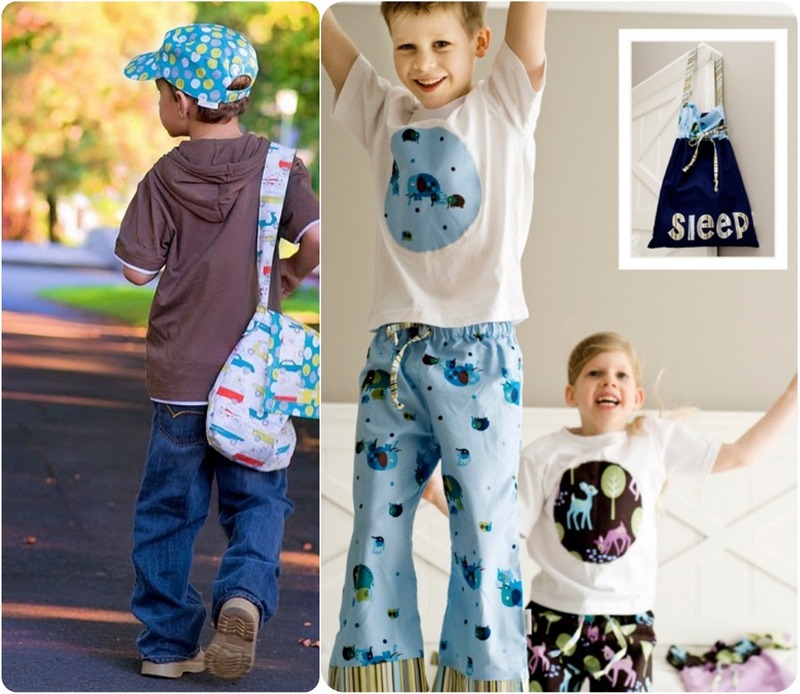 check out the post on luvinthemommyhood to enter into the "make it perfect sewing pattern giveaway"! woot woot! Hi guys! I'm in the Versus ring today - I don't think I need to tell you that I'm fighting for the sewers! I do love a quick sewing project - especially something that I can start AND finish when the kids have gone to bed all ready to wear the next morning. As much as I do love sewing though, I have to admit that I am fond of a bit of knitting and crochet (I said fond of, not good at!) at the moment I am working on a super cute crocheted bag but it won't be finished any time soon! We are heading into winter here in Australia - which means the jeans have started to make an appearance again. I wear a lot of plain tops with jeans and sometimes feel like I need something extra to "pretty it up" a bit - enter the Lace Belt! Perfect for adding a pretty detail to a basic outfit. 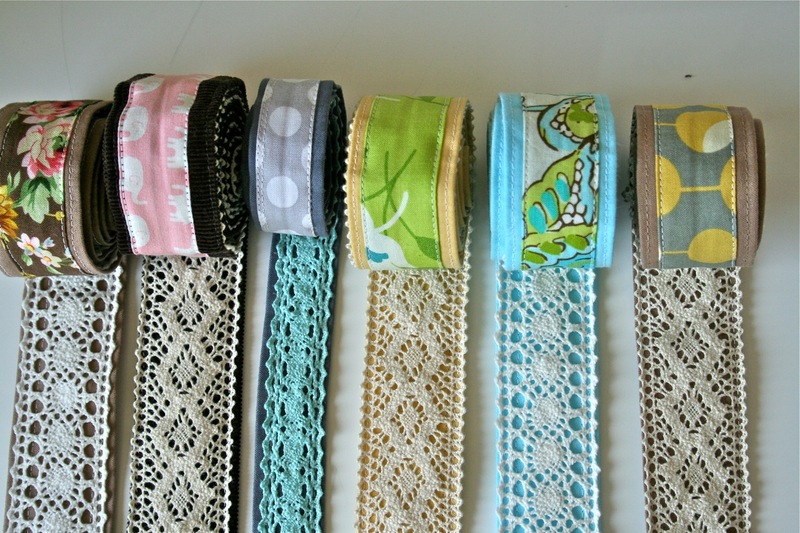 The Lace belt is also reversible with a strip of patterned fabric decorating the reverse side! You can adjust the length to suit your size - or make it a bit shorter if you like wearing your belt higher. 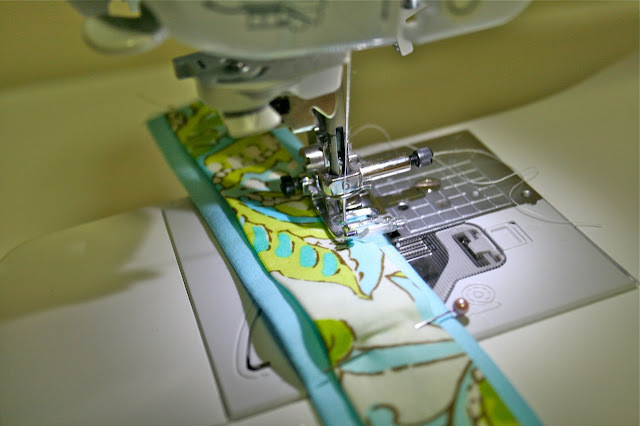 The width can easily be adjusted too depending on the width of your lace trim. Step 1. Take your strip of plain fabric and fold it in half with wrong sides facing. Lightly press crease down the middle of the strip. Step 2. 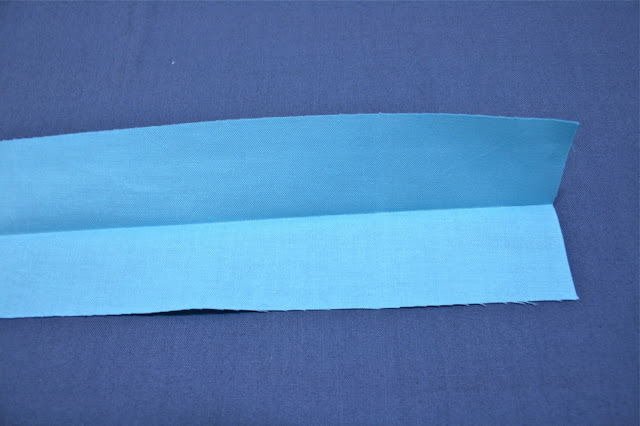 Open out fold and use the crease down the center of the strip as a guide to fold both long raw edges of the fabric in toward the center fold. Press. Step 4. Take the plain strip and open folded edges. 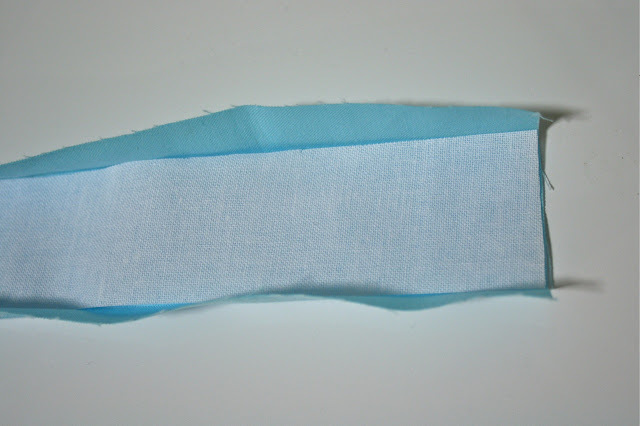 Place the strip of interfacing onto the wrong side of the center of the strip. Step 5. 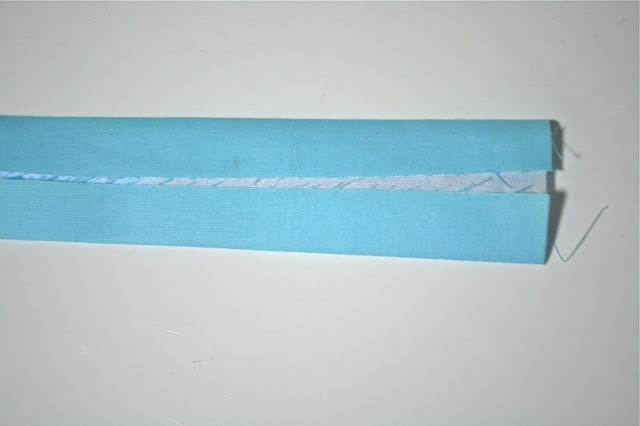 Re-fold plain strip so that interfacing is enclosed. Step 6. 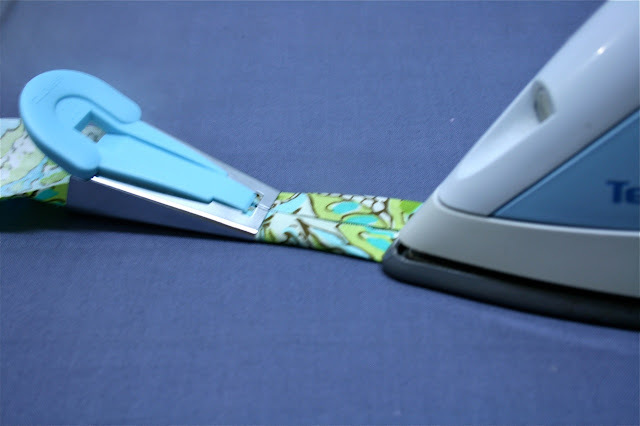 With the wrong sides of the plain and patterned strips facing, pin the patterned strip to the plain strip. 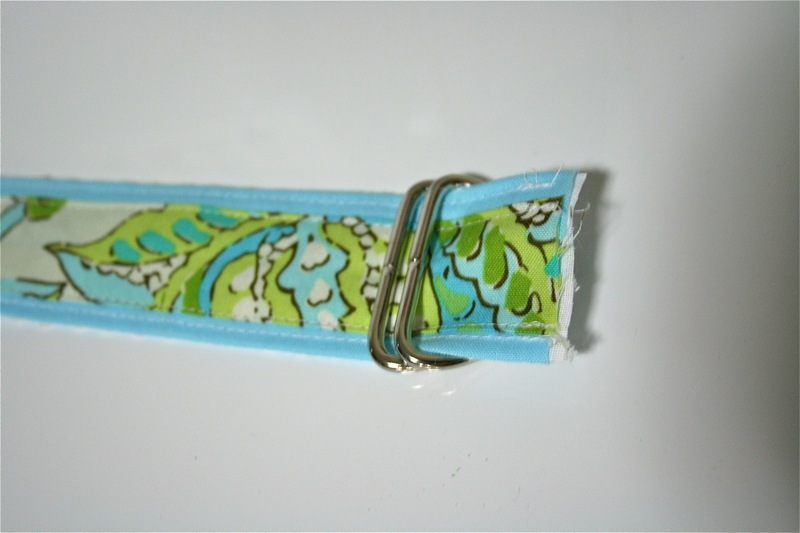 Make sure that the patterned strip is even and centered over the plain strip. Step 7. Sew strips together by stitching about 1/8" from the edge of one side of the patterned strip. Step 8. 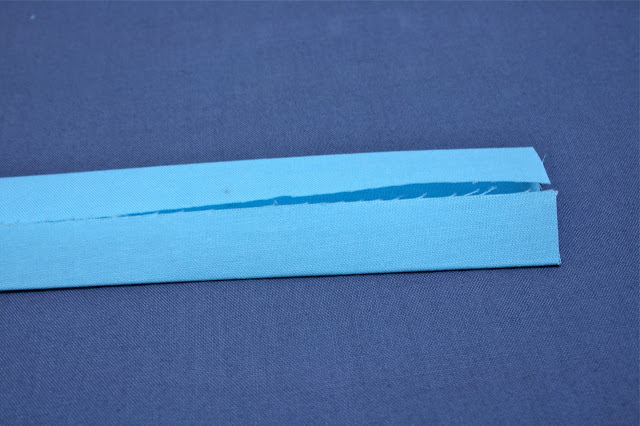 Sew 1/8" from the edge the opposite side of the patterned strip. Step 9. 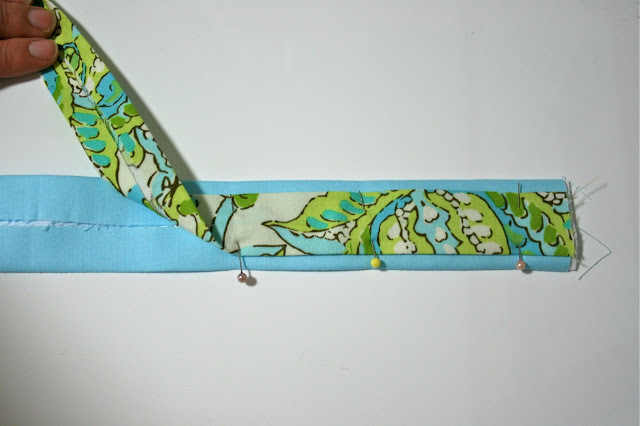 Turn belt over so that plain fabric is facing up. 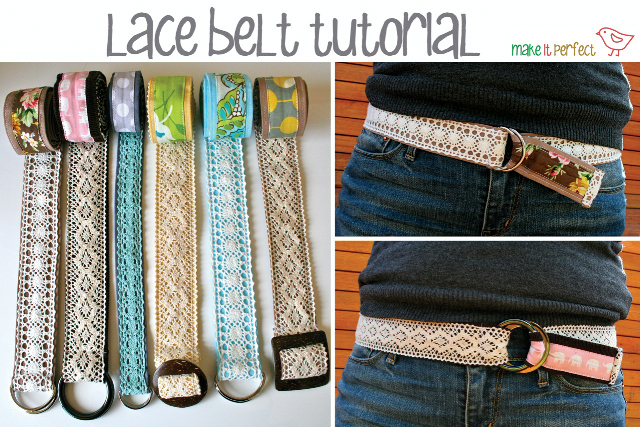 Lay the lace trim on top of the belt and pin into place. Step 10. Sew lace trim to the belt by stitching close to each long edge of the trim. Step 11. 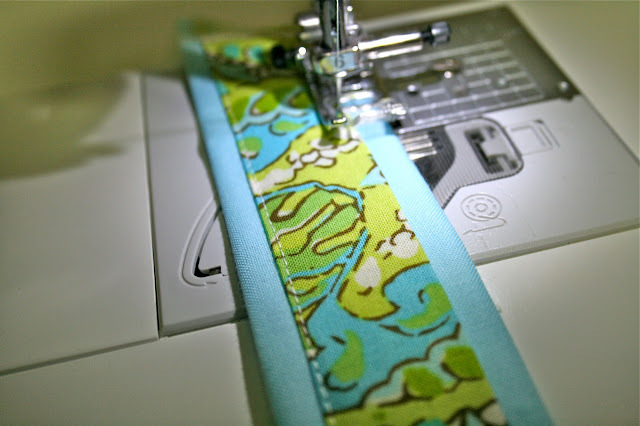 Slip D-rings onto one end of the belt so that flat edges of the D-rings are sitting on the patterned side of the belt. Step 12. Fold raw edge of the belt under 1/4" and then fold over D-rings about 1/2". Pin into place. Step 13. Sew across the folded edge of the belt as close to the D-rings as you can get. 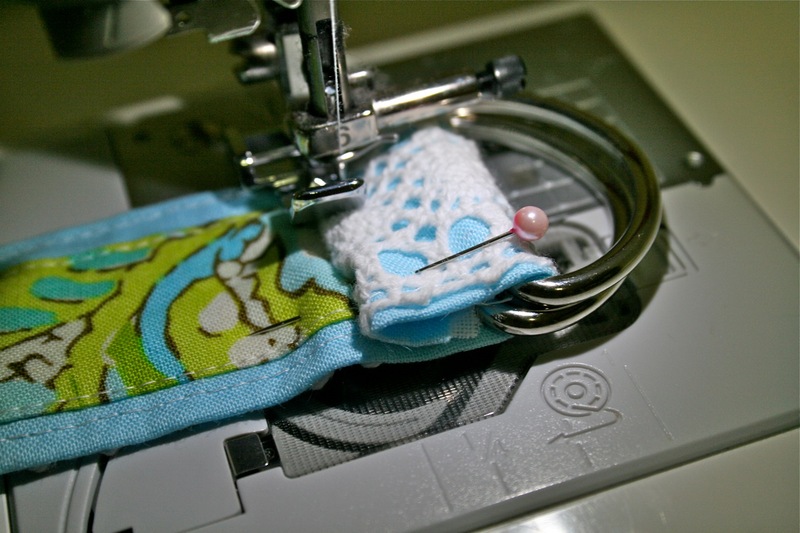 You might find it easier to use a zipper foot on your sewing machine to get the stitching close to the D-Rings. Step 14. Hem the other end of your belt by folding raw edge under 1/4". The fold under another 1/2" and sew down. And you are done! 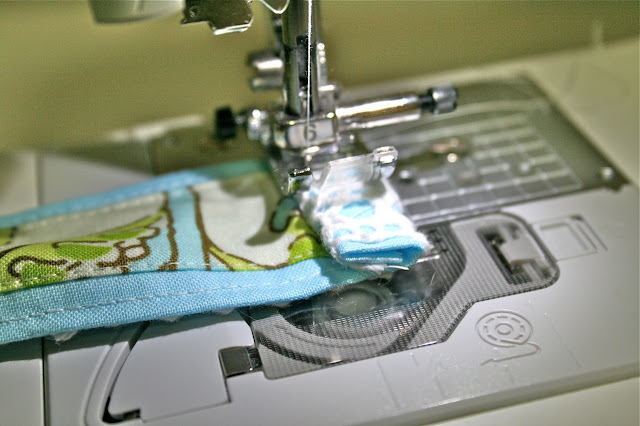 A super quick and easy sewing project - try and stop at just one! thanks so much for joining in toni! i LOVE the tutorial and cannot wait to make about 10 of these!!!! you can find more of toni on her website make it perfect & her blog, you can follow her on facebook. 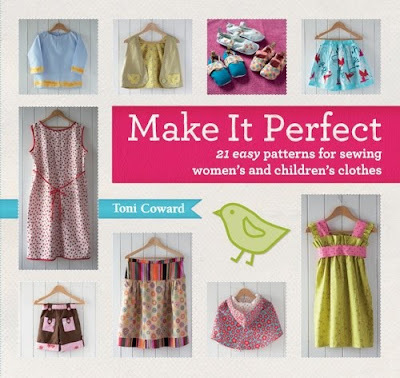 want a chance to win some "make it perfect" patterns of your own? 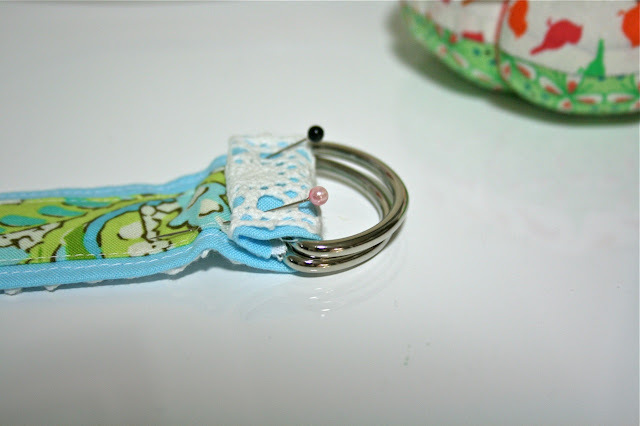 make sure to pop over to www.luvinthemommyhood.com and enter the "make it perfect giveaway"! This really pretty, great accessory to take any spring outfit up a notch. I have the perfect lace for this project and totally love to little sewing projects too !! That book looks amazing, I hope it is available in Canada. I love this idea! I have made belts for my son, but why have I never thought to make them for me? Rachel - It's so fab right? I'm seriously loving this belt! wow...this is great. will try this. thanks for sharing! Thanks for the tutorial. I am going to try. Can you tell me where you got your buckles? 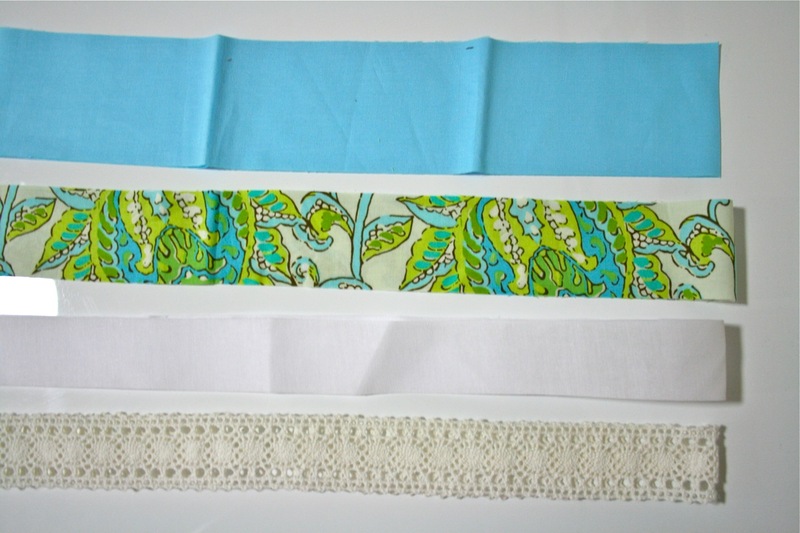 Do you know of anywhere you can buy in bulk with those and the fabric? I love this! I had a similar belt as a child- can't wait to have one again! Come visit us over at www.thesitsgirls.com! 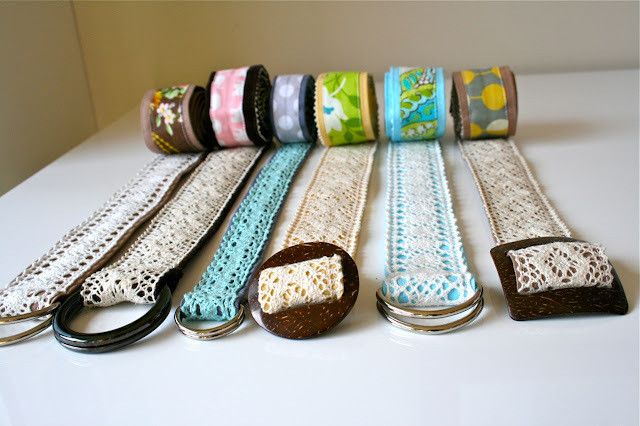 LOVE LOVE LOVE this belt idea! 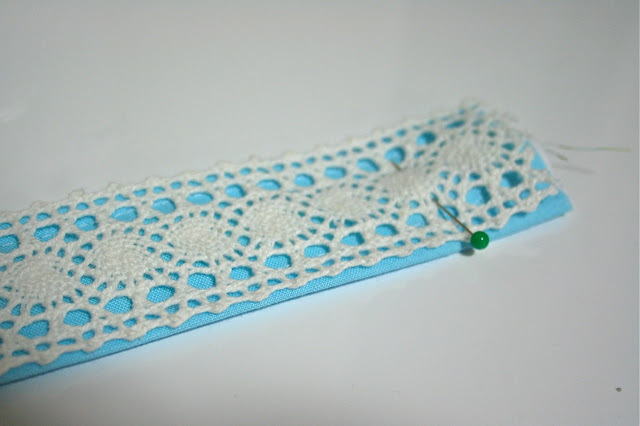 Can you tell me where you get the cute cotton lace? OR a website to order from? I'm in the central US and can only find lace that is made to sew down one side (and usually not flat) & nothing that has two decorative edges and is flat! These are so cute! Great looking belts. I love this idea.